November 27, 2013 - An airline pilot for Pakistan International Airlines with over 25 years experience and an unblemished record has been arrested and jailed for nine months for being drunk. 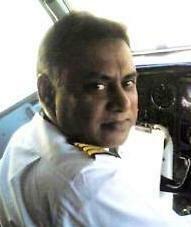 Captain Irfan Faiz, 55 was four times over the legal limit to fly a commercial jet. On a layover, Faiz had gotten into a drunken stupor, the following day he reported to work staggering through the airport, smelling of alcohol and chewing mints, airport security kept a close eye on him. Faiz went out to the plane and performed a preflight check on the aircraft he was to fly and then went directly to the cockpit. He was to depart Leeds Bradford International Airport (LBA) England for Benazir Bhutto International Airport, Islamabad, Pakistan with 145 passengers and a crew of 11 onboard an Airbus 310. While in the cockpit, the airport manager confronted Faiz with his behavior and informed him that he smelled of alcohol. Faiz said 'I'm alright to fly it.' Faiz was removed from the cockpit and escorted back to the terminal. In the terminal Faiz had reported he drank ¾ of a liter of whisky the night before and had finished about 3 AM and it had not affected him for his midday flight, 18 hours later. Faiz was arrested and taken to the local police station were he was given a breathalyzer test which reveled he was four times over the legal limit to fly an aircraft. In court a retired pilot from Pakistan International Airlines reported the company has a 12 hour drinking ban before a flight. Justice Coulson said he found it extraordinary that Pakistani rules allow pilots 12 hours between the bottle and throttle without regards to state of mind. The Judge also said he found it 'astonishing' that foreign pilots flying out of UK airports were unaware of their laws and believed that they could fly drunk. The Judge further stated airline pilots who drink and then plan to fly will go to prison. (b)he carries out an activity which is ancillary to an aviation function at a time when the proportion of alcohol in his breath, blood or urine exceeds the prescribed limit. (c)in the case of urine, 27 milligram’s of alcohol in 100 milliliters. (c)in the case of urine, 107 milligrams of alcohol in 100 milliliters. (4)The Secretary of State may make regulations amending subsection (2) or (3). (5)Section 94 defines “aviation function” and “ancillary activity” for the purposes of this Part. (b)he carries out an activity which is ancillary to an aviation function at a time when his ability to perform the function is impaired because of drink or drugs. (2)In this section “drug” includes any intoxicant other than alcohol. (3)Section 94 defines “aviation function” and “ancillary activity” for the purposes of this Part.